Excel allows a user to check if a value is text, by using the ISTEXT function. 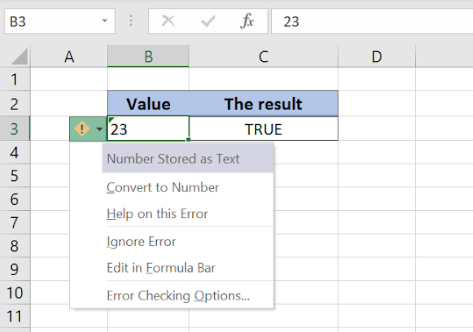 This step by step tutorial will assist all levels of Excel users in checking if a value or a value of a cell is text. If a selected value is text, the function will return TRUE as a result. Otherwise, it will return FALSE. In our example, we want to check if the value from the cell B3 is text. In B3, we put “Text” as the value. The value in B3 is text, so the function returns Boolean TRUE as a result in the cell C3. In the cell B3, we put 3, but the cell is formatted as text. Because of that, the ISTEXT returns TRUE as a result. Hi, I need a formula that determines whether text is in a given cell in six separate tabs and return a different value for each. 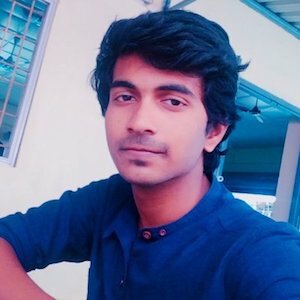 I've tried to string ISTEXT, but am stuck and it doesn't work. Please help! Many thanks! I need to loop through records in a listobject table, if the value in column J is not text (IsText = False), then copy the value in J to column L.